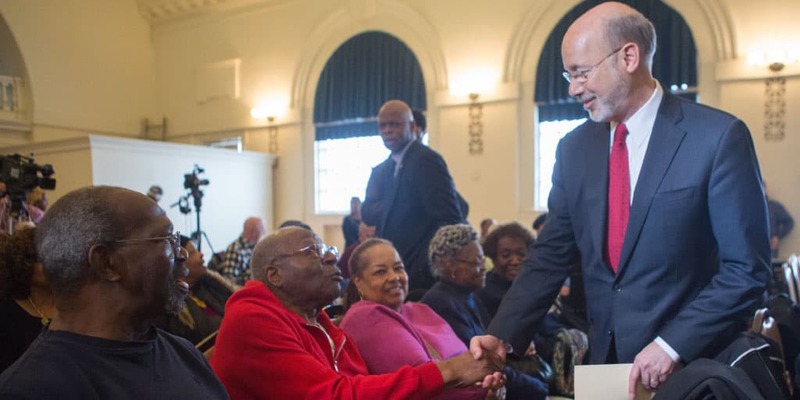 Harrisburg, PA – Governor Tom Wolf signed House Bill 270, now Act 87 of 2018, which authorizes enhancements to the Pharmaceutical Assistance Contract for the Elderly Needs Enhancement Tier (PACENET) program, making the program available to an additional 17,000 seniors. The PACENET program, which is administered by the Pennsylvania Department of Aging, has not had an income eligibility increase over the past 15 years. The passage of HB 270, sponsored by Representatives Frank Farry and Steve Samuelson, includes an increase in the income eligibility limits and the implementation of medication synchronization. The bill provides a $4,000 increase for both single and married Pennsylvanians. Total income for a single person can now be between $14,500 and $27,500. For a married couple, combined total income can be between $17,700 and $35,500. The increase in income limits will allow an additional 14,000 older Pennsylvanians to receive prescription drug coverage through PACENET. It also will ensure that nearly 3,000 Pennsylvanians from don’t lose program enrollment due to increases in their income. HB 270 also authorizes medication synchronization that coordinates filling and refilling of prescriptions by pharmacies or dispensing physicians for program participants who take two or more medications. When an older adult is on multiple medications they must often make separate trips to the pharmacy to have them filled which decreases the likelihood of medication adherence and taking medications as prescribed. The authorization of medication synchronization allows pharmacists to align pharmaceuticals for the senior by filling partial supplies of a prescription. This service offers added convenience and improves medication adherence, without additional out-of-pocket costs to the older adult. For more information on PACENET, visit aging.pa.gov/prescriptions.